The rich and various cocktail card of “Pochtovaya Kontora 1786” always make a surprise for our guests. It is a merit of our chief bartender Alexey Shchetinov. His professionalism and author’s approach give rise to the most courageous and amazing combinations of tastes. We have a special relation to wine, we tremblingly select the best positions for our wine list and we are ready to acquaint our guests with the rich and various world of wines and wine drinks. In our team the sommelier who will prompt the best combinations of drinks and food, will tell a lot of interesting and informative things in this area. 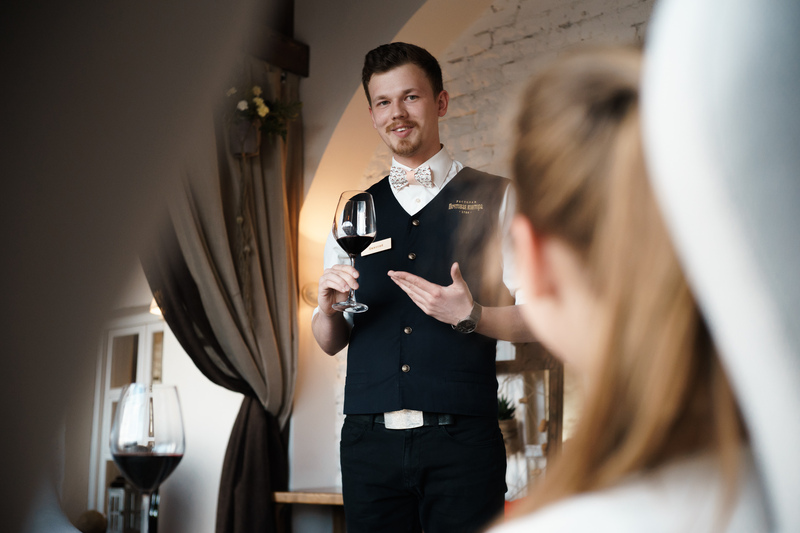 Our sommelier Dmitry Solovyyov, having decided to study the sommelier’s profession, graduated from famed Saint- Petersburg school of wine “Enotriya” where the champion of Russia among the sommelier of 2015 Alexander Rassadkin was his mentor. 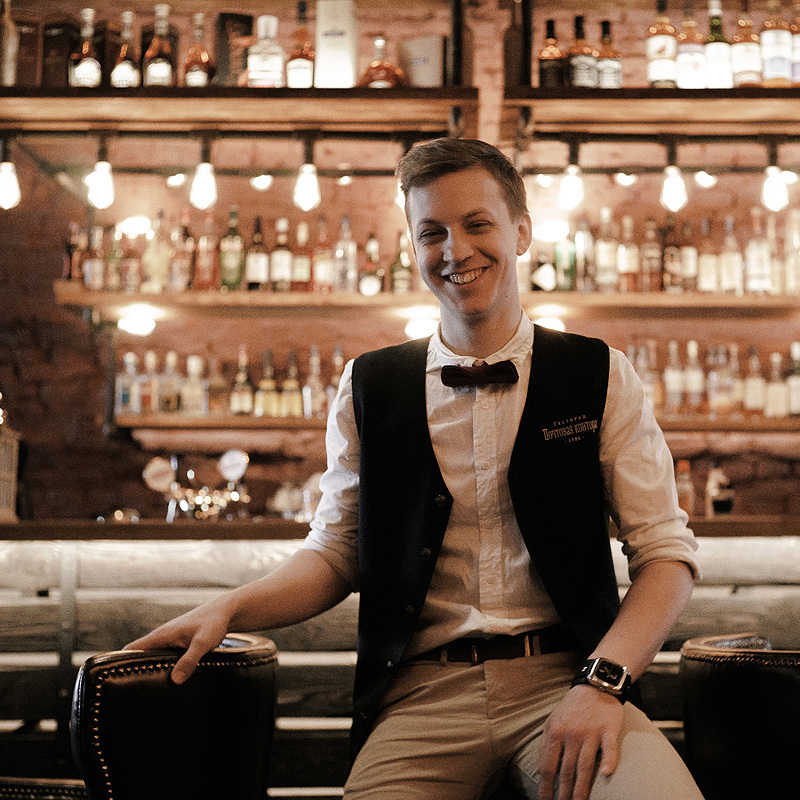 As Dmitry notes, he will be glad to share the knowledge of the world of cocktails, wine and hard drinks with guests of “Pochtovaya Kontora 1786”.